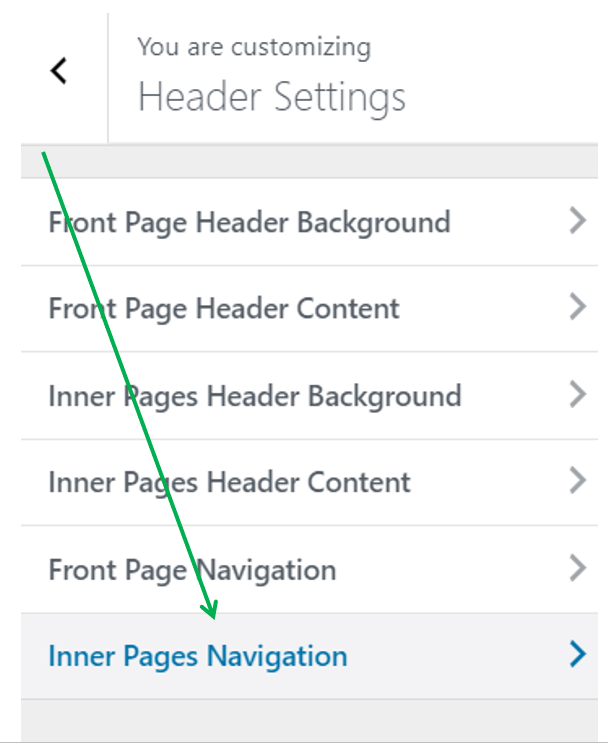 To customize the navigation for the inner pages, you have to access the Header Settings -> Inner Page Navigation section in the Customizer. It is also recommended that you have a subpage or a blog page open in the Customizer – if you have the Front Page open you won’t be able to see the changes you make. To replace the text logo with an image logo, you have to go to General Settings > Site Identity and set an image for the logo.